Fans curious about the history behind Battlefield 1's stories are in for a treat. YouTube channel Games of History released a longform video essay discussing the game in full. They talk about the truth and lies found throughout the game’s exciting campaign. Griffiths is pretty quick to take the game to task for various historical inaccuracies. 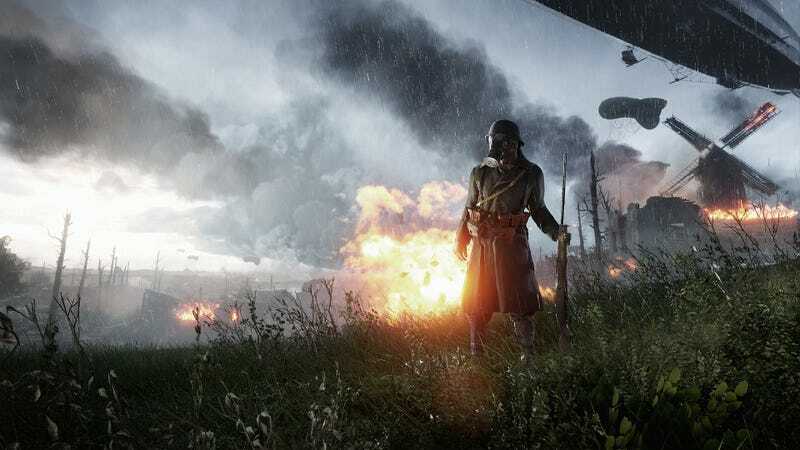 Battlefield 1 is a great game but it can play it fast and loose with the setting. He outlines facts in exhaustive detail and helps explain things the game left unspoken. This definitely is a great companion piece for players looking to learn more about the Great War. Here’s a taste of some of the facts you’ll learn. The game’s Bedouin protagonist Zara Ghufran was likely based off a Lebanese woman named Farida al Akle. She was purportedly a lover of T.E. Lawrence who taught him Arabic. A British tank crew actually did spend extended time behind lines during the Battle of Amiens. They pressed on and advanced for nine hours before being killed and captured. The Harlem Hellfighters arrived in France nearly nine months after the United States joined the war. They fought in their first battle on April 8th, 1918. They fought aside the French, as the majority of US forces did not want to fight along an African American unit. Australian character Jack Foster bears strong resemblance to James Martin. Martin was 14 years old when he died of typhoid during the Gallipoli Campaign. Climb out of the trenches for a bit and give it a watch. You’ll walk away with a little more knowledge about those control points you keep capturing.